Will Europe manage to save its fish stocks? And what will happen to the fishermen? 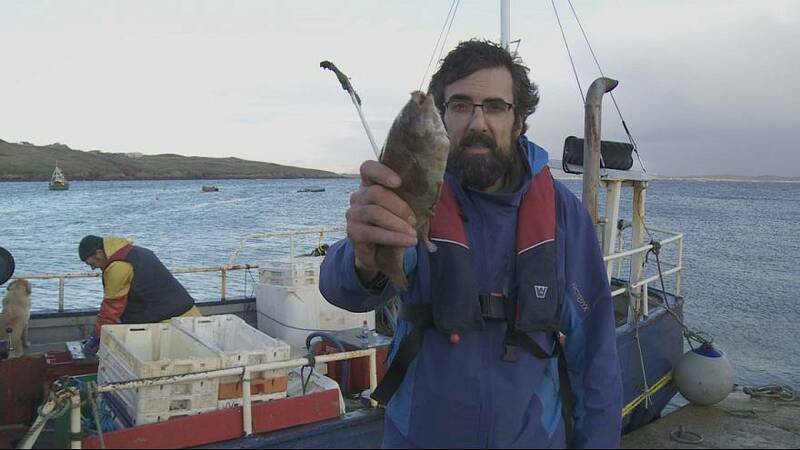 Do Irish fishermen have a future? That’s all right here on Reporter. Neily Kavenagh and his brother Seamus ride the rough waves of the Atlantic as their small fishing-boat heads out for lobsters, crabs and some small bait fish. But that’s all they are allowed to fish. They don’t have a problem with the tough weather and working conditions. Setting out at 4 and bringing back the catch at 10 in the evening is all par for the course for these hardy fishermen from Arranmore Island off the Irish coast. But they have a problem with fishing rules: Neily’s great-grand-father went out salmon fishing here, as did his grandfather and his father before him. But a fishing ban on wild salmon was issued by Brussels and Dublin in 2006 and it hit the tiny fishing community on the island harder than any monster wave. Since then, Arranmore’s economy has seriously stalled. The island is peppered with empty houses, the ghosts of Arranmore families forced to abandon their Island homes to seek another future abroad. Many headed for Dublin, London, Australia and America. But it’s not just about the salmon. Shortly after the ban, mixed stock fishing was closed and drift netting was also banned. Jerry went to Brussels with the local priest to alert them to the disastrous impact of EU policies. He painted a picture of the skeletons of fishing boats and told them that in seven years, the island’s population had almost halved. Today, just four full-time fishermen remain, among the few that refused to exchange their fishing licence for EU compensation money. They still hope stocks will recover and fishing bans might be eased for small-scale coastal fishery. Huge international trawlers are not allowed to fish within twelve nautical miles of the coastline and changes to the European Fisheries Policy have prolonged this period of protection. But despite his complaints, the problem of overfishing remains a serious one: 39 percent of stocks in the Atlantic and 88 percent of stocks in the Mediterranean are over-exploited. The European Union have to take drastic action in order to avoid total collapse. But Jerry says Europe should not blame the small fleets. He served with the lifeboat crew for 29 years and is still passionate about serving the community. He maintains that wild salmon stocks have recovered, pleading with the Irish government to lift the ban. By his reckoning, the fishing of just 3,000 salmon a year would keep the island afloat economically. For the first time ever, not a single baby was born in Arranmore last year and one of the only two primary schools faces closure. The teaching arrangement is unusual to say the least. One teacher takes care of several age groups ranging from 4 to 11 in a single class in two languages: English and Gaelic. Gaelic is declining, so turning Arranmore into a ghost island would be culturally and linguistically damaging for Irish heritage. But every second islander is without work. Arranmore is one of the poorest parts of Donegal County – which itself is one of Ireland’s poorest regions. Shirley linked Arranmore to a network of European islands, called ‘SMILE-GOV’. The bottom line of the EU-sponsored initiative is how to manage an island. The exchange with islanders from Denmark and other countries gave the Arranmore inhabitants some ideas, such as fish-farming, which is backed by the EU and the ongoing fishery reforms. It’s night time back on the island and while Neily hauls in the catch of the day, Jerry drums up friends for a music session in the bar. It’s a small farewell event because two of them have quit the island. From next year, the European Fisheries Fund will back job creation and sustainable development in small communities such as Arranmore. Failing small-scale fisheries will get privileged access to funds. The EU has rubber stamped small vessels like Neily’s to use gillnets, but not to fish salmon. It is a small victory for Arranmore and a sign that maybe Brussels is beginning to budge – at least a little bit. Irish border: Can technology remove the need for a backstop?